If you like to make your baby more realistic by making holes in the nostrils then you will want this set of needle files. If you like to make your baby more realistic by making holes in the nostrils then you will want a set of needle files. Needle files are useful for cleaning out a doll's nose after you've made a hole in the vinyl. These files make it possible for you to clean and smooth the edges of the nostril holes making the nose look soft and natural. 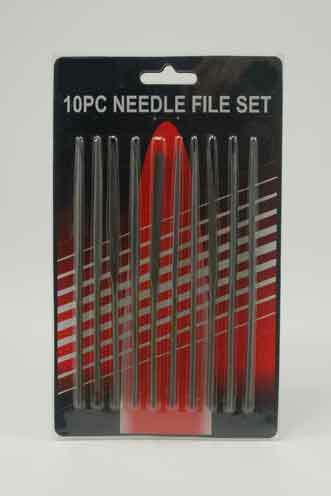 This set includes ten 5.5” long needle files in assorted shapes such as flat, beveled, half round and round files. Use these files for 19" and larger dolls.